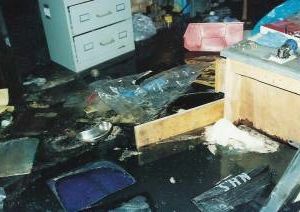 Escape of water, loft burst, pipe burst, burst water main, sewage flood, river flood, storm surge flood, tap left on and more - we've seen and dealt with them all, in all types of properties. 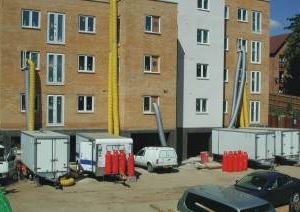 From a small room right through to a 32 floor apartment block flooded top to bottom, we've been involved with some of the most technical drying projects undertaken in the the UK. Don't be taken in with all the glossy websites offering and promising you the world. Simply ask them for a certificate of drying, certificate of surface hygiene and certificate of air quality - with verification data. VERY FEW can provide meaningful documentation! If the contractor wants to use a sprayed biocide or disinfectant following water damage, ask them why they feel the need to apply a toxic substance to deal with another. Chemicals can give off volatile organic compounds - a hazard that you and your family should not be exposed too. Check the MSDS for the chemical as makers may claim their product is safe, but you may find carcinogenic ingredients in the treatment. 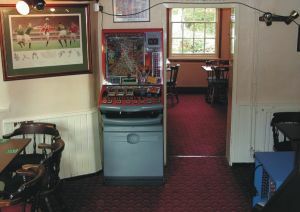 Are they using air movers? If yes, then they will be blowing and aerosolising contaminants throughout the property. Have they allowed mould to start taking hold? If yes, then applying a biocide kills the mould but does NOT get rid of the residual dead spores and fragments which are potentially more of a hazard than the live mould. Call us to discuss your concerns. 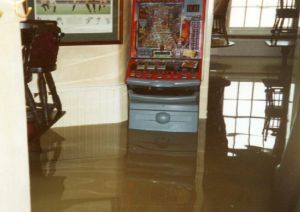 We have helped many people who were experiencing issues asscociated with the water damage in their properties.